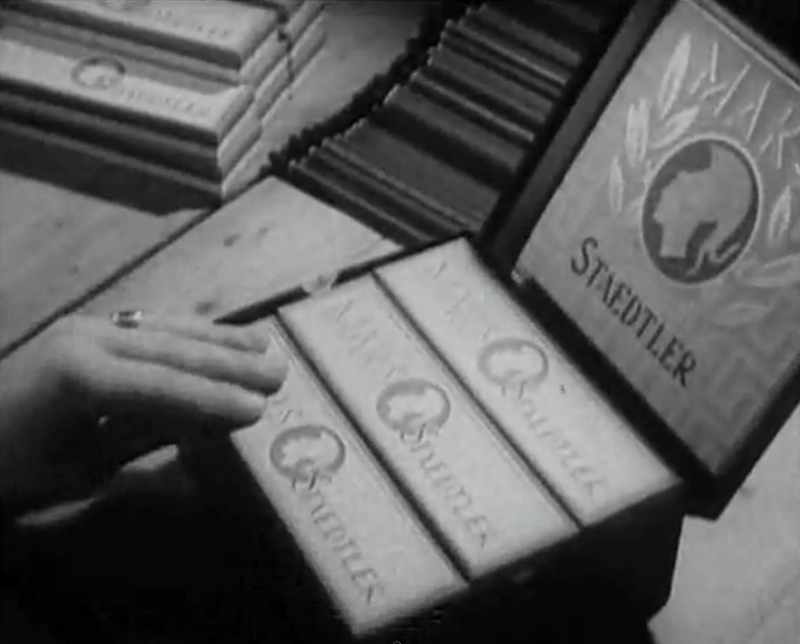 Screencap from “STAEDTLER pencil production in 1950 Part 2”. I love old pencil packaging. Why can’t they wrap them up like this anymore? Speaking of Pencil Revolution, there was a great comment thread on a post where we discussed the bevy of How It’s Made videos on YouTube about making pencils! Sean from Contrapuntalism linked to these fantastic old 1950s silent films from the Staedtler factory on how they made pencils back then. There is no sound, and the intertitles are in German, but I think you get the idea, especially after watching the more modern video posted with English narration. It surprised me that this film is from 1950 — with the production quality, and the general look and feel of the factory, I would have guessed that it was much earlier, like from the 1920s or 30s. But then I realized I was looking at it through an American culture lens; it looks, to me, like it took place during the Great Depression. And the decade preceding this film was rough on Germany — the government lost a war, unprecedented in scope, was toppled, and the entire population had a huge financial, political and moral mess to deal with. This was a bad time for Germany. The films are fascinating. Thanks, Sean, for pointing them out! I’ll append the post, Sean — thanks for the info, and sharp memory!